Brokers could see more demand for environmental liability insurance because of a recent Supreme Court of Canada ruling in favour of the Alberta Energy Regulator, a Toronto underwriter suggests. In Orphan Well Association v. Grant Thornton Ltd., the Supreme Court of Canada ruled that a trustee in bankruptcy cannot “walk away” from a bankrupt company’s oil and gas wells, or the environmental liabilities associated with them. This increases a lender’s risk, since many borrowers going through the bankruptcy process will now be left with less money to repay their creditors. “We expect lenders or creditors to now require more of their borrowers to buy [environmental liability] coverage before they are willing to provide loans or cash to borrowers,” said Miles Foxworth, a Toronto-based underwriter with Lloyd’s insurer Beazley Canada, in an interview Tuesday. Some oil and gas companies have been gone into bankruptcy to avoid obligations to regulators – and to pay back creditors instead, suggested Foxworth. The Orphan Wells ruling arose when Alberta oil and gas company Redwater went into receivership in 2015. At the time, it owed about $5.1 million to ATB Financial, a bank formerly known as Alberta Treasury Branches. Grant Thornton was Redwater’s trustee in bankruptcy. In essence, this meant Grant Thornton’s job was to take Redwater’s remaining assets and do its best to pay anyone owed money by Redwater. Redwater’s facilities included 84 wells, many of which were inactive. Grant Thornton told the regulator it intended to take possession of some, but not all of Redwater’s assets. Under Alberta oil and gas regulation, Redwater would have had certain obligations to meet before abandoning and oil and gas assets – for example, plugging and capping oil wells to prevent leaks, dismantling surface structures and restoring the surface to its previous condition. The regulator and Grant Thornton went to court. 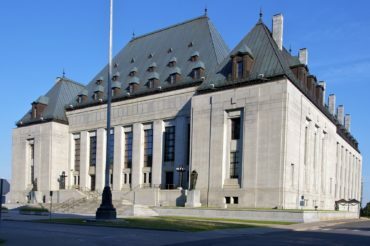 The Court of Queen’s Bench ruled against the regulator, on the grounds that Alberta’s provincial energy regulations conflicted with the federal Bankruptcy and Insolvency Act. The rationale was that the regulator’s claim against Redwater would be would be put ahead of claims of secured creditors (such as the bank), which is against federal bankruptcy law. That ruling was upheld by the Alberta Court of Appeal but overturned by the Supreme Court of Canada in Orphan Wells, released Jan. 31, 2019. As a result, banks and credit unions take on more exposure when then lend to any company having any sort of regulatory obligation – such as pollution cleanup, said Foxworth. Large banks are well aware of this issue but smaller banks and credit unions are starting to become more aware of the implications of Orphan Wells, suggested Foxworth. Curious as to how an environmental policy will cover the pollution clean-up? It’s not a sudden and accidental event. The event has already occurred.